Let’s say you came into work tomorrow, opened your marketing analytics dashboard (better yet, a referral program dashboard), and saw that an Instagram influencer campaign had driven 20x ROI for your fashion eCommerce brand. Or maybe you’re the Head of Marketing for a B2B business and found that a partner webinar had driven 1,000 qualified leads and 200 new customers with an average lifetime value of $5,000. Most savvy marketers would double down. They’d invest time into figuring out why those campaigns were so successful. They’d diverge resources to figure out how their business could extract more value from those channels. And they’d find a way to ensure that channel — the one that drove such a high ROI — became a critical part of their overall marketing strategy. 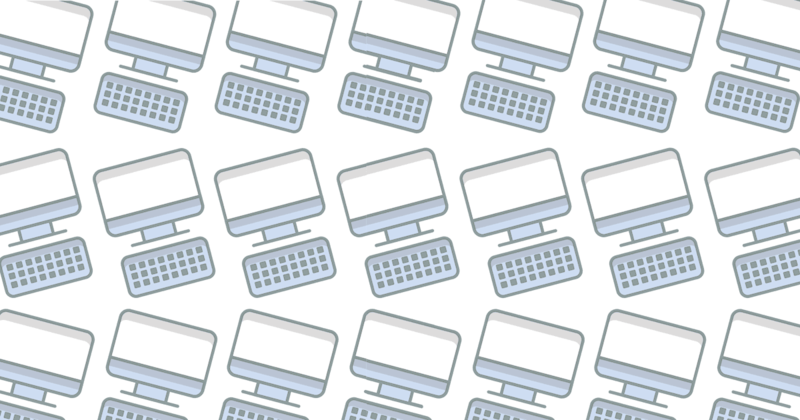 Put another way: They’d optimize — building and deploying a framework that ensured they extracted as much value as possible from that Holy Grail of new customer acquisition. Now, let’s focus the spotlight on referral marketing. 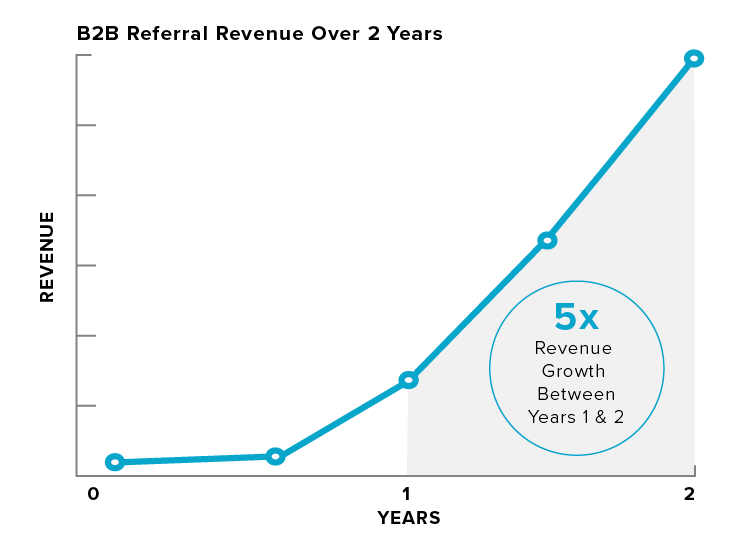 So, why do so many companies — both B2B and B2C — treat referrals as a nice-to-have supplement to their many other marketing initiatives, instead of the revenue-driving behemoth it could be? The answer, very simply, is that many marketers mistakenly assume that referrals just happen. They implement a referral program, enroll only their “best” customers, send a few emails, and expect the ensuing momentum of organic advocacy to take care of the rest. Problem is: Like all other high-value marketing channels, referral marketing doesn’t work like that. It’s time to change the way you think about referral marketing. 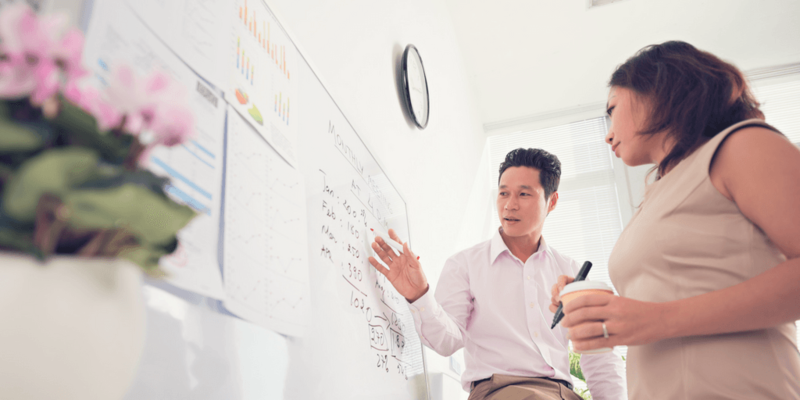 As with any marketing program, you need to lay out a strategic framework that’s designed to help you engineer your referral program in a way that will ensure you see the best possible results. To get started, here are our expert tips on how to grow and optimize your strategy to increase referral program ROI. Because the concept of referral marketing is still somewhat new to many companies, some marketers and growth strategists opt to start small — launching a referral program, but testing it with just a few dozen (smaller companies) or a few thousand (larger enterprise brands) customers before unveiling it to their full database of contacts. While that “pilot” approach might make sense on the surface, it almost always fails. 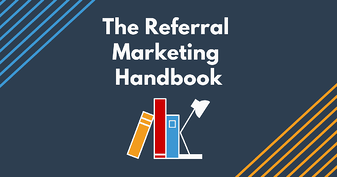 Here’s why: Just like converting web traffic into actual customers (and converting those customers into repeat buyers) requires volume, referral marketing is also a numbers game. It’s a funnel that, frankly, requires a scientific blend of quantity (participants) and relevance (messaging and incentives). In its 2015 Technology Vision report, Accenture published findings from a massive survey that shed light on how modern consumers — in both B2B and B2C markets — want to be marketed to and engaged with. In the report, Accenture revealed that 56% of consumers would be more inclined to buy from a retailer or service provider if it provided a personalized experience across multiple channels. To be successful with referral marketing (or any marketing strategy, for that matter), you must use a mix of channels, platforms (e.g., mobile), and persona-specific messaging to ensure relevancy and awareness across multiple touchpoints. In other words, you have to view your referral program as a key piece of the entire customer journey, not just a bolt-on campaign to drive a few leads. 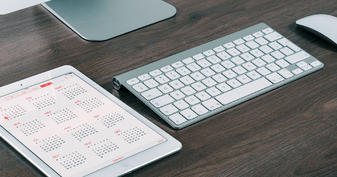 As you optimize your referral program around the size of your network and the segmentation of it, there’s a third pillar of referral marketing strategy that you’ll want to keep an eye on, as well: Incentives. More specifically, are you giving the right reward, at the right time, to the right person? As you might expect, this aspect of referral optimization means tailoring incentives for your specific customer profile and unique segments, and different types of conversions (purchases, leads, downloads, free trial sign-ups, etc.). At the end of the day, you’ll see far greater referral results when the incentives you offer perfectly align with the interests and motivations of each ambassador. At the end of the day, there are two fundamental principles that universally apply to all referral marketing programs: Timing and maturity. More specifically, the longer you give your referral program to grow and evolve, the better the results will be. And, the sooner you implement a program — beating your competitors to market — the more likely it is that your program will be the one people remember. 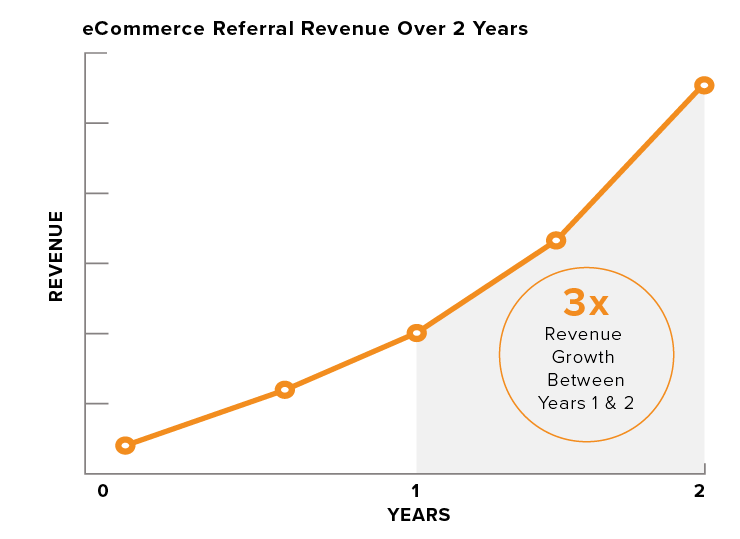 To the first point, we’ve consistently seen referral marketing activity and revenue growth compound over time. In fact, results for all types of companies are almost always substantially better in month 18 than month six. To illustrate this, here are two charts — one for B2B and one for eCommerce, both based on data from our platform — that show how referral results trend sharply upward the longer a referral program is active. The takeaway here is simple: At the end of the day, referrals are like any other high-value channel. 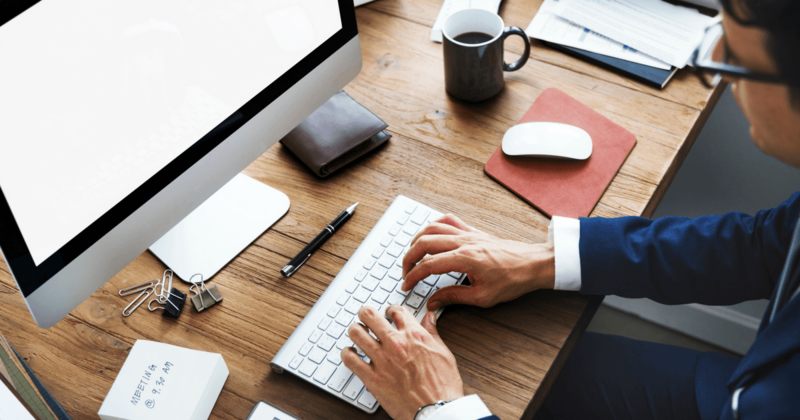 You wouldn’t start a blog, publish a few posts, and then immediately expect to see a flood of new leads. Likewise, you wouldn’t make a few tweaks to your website’s copy and suddenly expect to rank first for a highly competitive keyword. Referral marketing is no different. So, are you ready to get more from your referral marketing program? Download our full eBook by clicking the image below. 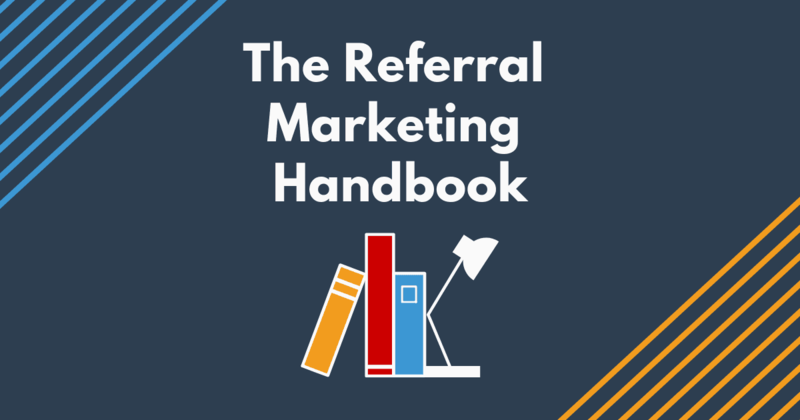 It’s chalk full of tips, tactics, and strategies to help you optimize referral results, as well as simple takeaways that you can easily incorporate into your marketing strategy today. When you’re done reading, give us a shout! We’d love to learn more about your business and how our platform can help it grow.